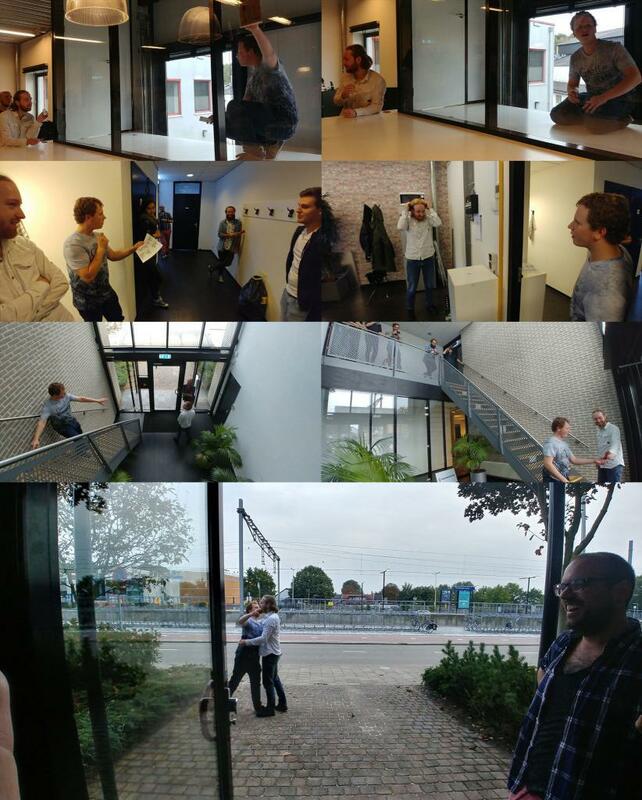 Today two of our teammembers were saying goodbye, and we decided to give them a good sendoff. Rogier van der Helm is a gamedesigner and projectmanager with considerable escape room experience on is resumé (he had a big hand in Prison Escape!) and Boy Voesten is a coding genius that really (really) enjoys a challenge. And a challenge we gave them. We locked them in and told them the office would soon Explode as The Mastermind (Dominic) had planted a bomb. 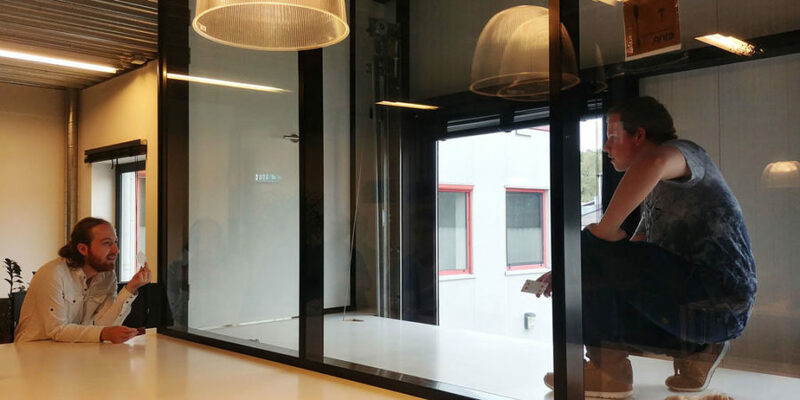 Everyone in the team came up with a puzzle that was integrated that morning, after Rogier and Boy were told the office opened up an hour later today. Escaping entailed Boy getting trapped twice while Rogier methodological searched the office for clues. Rogier had to dress up as a woman to get into the ladies toilet, they had to uncode the coat rack ordened in morse code, reach the magnetized ceiling and even brave the alarm-coding machine guarded by The Mastermind. In the end they escaped succesfully. We’re happy for them, but also a bit sad to see them leave. Thank you Rogier and Boy, we hope you enjoyed it as much as we did.